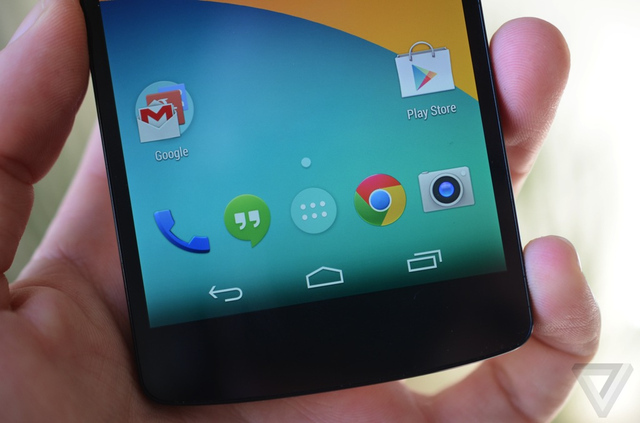 Heres Why The Android 4.4 Is Made For You. Android has had a long journey, from version 1.5 till the recently released 4.4, it is the single most used mobile OS in the world. Selling its first phone back in 2008 with a lowly 528 mhz processor and 256 mb ram, it instantly clicked with the public and has since then penetrated into the lives of a large amount of people. The Android 4.4 is made just for you, with it being a light upgrade to the previous hardware hogs. The search engine has been improved extensively and it now drives icons,widgets, wallpapers and the application drawer. If u haven’t installed the search toolbar u will not be able to use your phone properly. Google claims Android 4.4 to be extremely light, in the past devices with 512 mb ram were generally given a cold shoulder but now according to Google, Android 4.4 KitKat will run fast, smooth, and responsively not only on high-end devices but also on entry-level ones that have as low as 512MB of RAM. Android 4.4 has the ability to hide the status bar making the screen border-less, in essence the status bars and the menu bars are hidden enabling a full-screen experience. Sensors will play a huge role in the upcoming Android revision, reportedly the inputs from sensors will be processed in queues which means the processor can move to its low power mode for a longer time rather than processing an input one by one. NFC has not been widely implemented although many phones feature NFC chips, android 4.4 further improves and simplifies in the use of NFC to make payments. In a summary the new android revision improves motions, enables phones with 512 mb ram to be smooth and replaces the SMS application with ‘hangouts’. There are many other important features of the new Android 4.4, it will slowly and steadily gain traction and soon overcome Jellybean as the most used version of android.